Food insecurity is defined as the state of being without reliable access to a sufficient quantity of affordable, nutritious food. Sadly, a large proportion of the British population suffers from the daily anxiety of not knowing when their next meal will be. 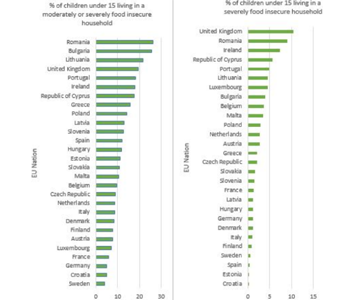 Food insecurity affects the young, the mature and elderly alike but the unaffordability of healthy and nutritious food has also been felt and recognised by institutions. 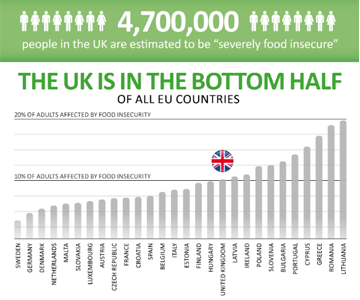 According to a Unicef report, the UK fares as having some of the highest rates of food insecurity and childhood obesity in Europe, whilst doctors within the NHS warn of an old fashioned return to poverty and deprivation. With so many hungry, vulnerable and malnourished people in crisis, The Akshaya Patra Foundation UK felt that it was necessary to utilise its unique perspective and experience and apply this to the UK scenario. In 2017 The Akshaya Patra Foundation UK took on the initiative, much like its Indian counterpart did those 18 years ago, to venture into providing free and nutritious meals for the vulnerable, in London. TAPF UK came to this decision as the team had noticed a rising problem and an urgent need to tackle the state of hunger and homelessness in the UK. A total of 8 million people across the nation suffer from food insecurity daily and since 2010 there has also been a 169% rise in homelessness. Reliance on food banks is on the increase, and due to the lack of affordability of fresh and healthy food families are resorting to cheap and filling alternatives – thus malnutrition and particularly child obesity is on the rise. The Akshaya Patra Foundation UK have launched a feeding programme, aptly named Beat the Hunger to address these issue head-on and provide some relief for some of society’s most vulnerable citizens. Using frugal innovation, economies of scale and our proven capabilities to feed large numbers, we are trying to set up a sustainable model which enables low-cost provision of healthy food to deprived groups. Our Beat the Hunger Programme focuses on providing food for rough sleepers and school children vulnerable to food insecurity over the school holidays. We are able to address holiday hunger by tying up with holiday clubs to provide catering for children during Christmas, Easter and the summer breaks. Providing all year-round high quality. low cost. nutritious and fresh hot meals for children in poverty, through school and holiday clubs improving education and well-being. As the Mayor's chosen charity of the year for Brent Council, we served around 90 children a hot school lunch at Newman Catholic College. This program ran through the duration of the summer holiday camp at the school. In tackling homeless hunger, The Akshaya Patra Foundation UK found that we were the most effective when operating at the street level, which is why we have set up fixed distribution points across inner-city London. 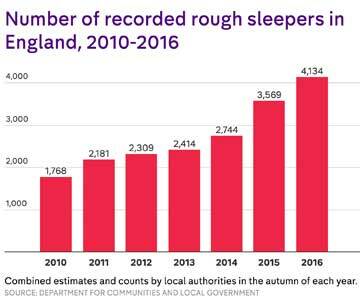 By being immediately accessible to those in need we are able to positively impact and improve upon the quality of life of thousands of rough sleepers at a consistent and constant rate. Nutritious hot meals are prepared at the TAPF Kitchen in Holborn, London, daily and are then transported to distribution points in areas of severe inequality and deprivation across the city. Staff frequently dispense meals around Kings Cross and Kentish Town and on average feed 2000 rough sleepers and food insecure people every day. A £500 donation would help us to provide hot and nutritious meals to 2000 hungry and vulnerable Londoners in a day – why not donate towards the cause and sponsor a day's feeding operations.